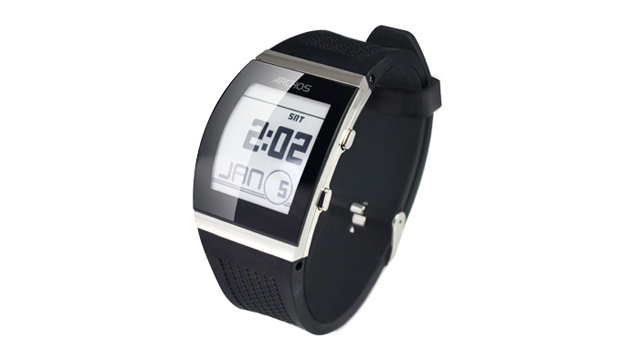 Archos has revealed that it is working on a follow up to the eInk smartwatch it showed off at CES earlier this month. Its first wearable tech gadget, the Archos Smartwatch comes with a curved eInk display alongside two physical buttons. The company – better known for its budget tablets – showed off its smartwatch at the trade show in Las Vegas. Now the French manufacturer has revealed that it working on a follow up that will introduce a fully touchscreen eInk interface. Speaking to TrustedReviews, Archos chief executive Loic Poirier said that the touchscreen eInk smartwatch is just months away from hitting shelves. “We have made the Archos Smartwatch in collaboration with E Ink the company to bring the first curved eInk LCD,” Poirier told the website. One of the benefits of using eInk – according to Poirier – is that the battery life of the devices is much higher. He compared the battery life of the Archos Smartwatch to Samsung's Galaxy Gear and said it would be weeks, rather than days. The Archos Smartwatch will launch soon with a £99 price tag. The company has also announced two other basic smartwatches, that have a price tag of £79.99 and £49.99 each.